3 Should You Install the Simple Trainer for GTA V? While there are many options for a GTA V trainer for driving, not all of them come with the features that you need. 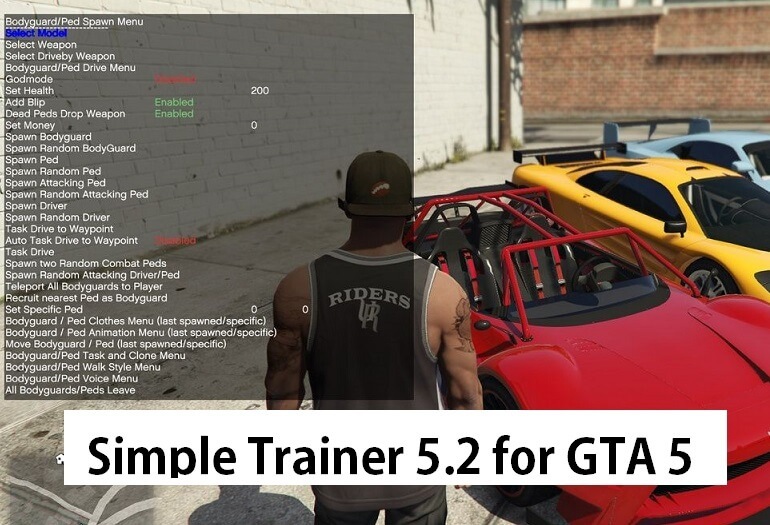 Simple Trainer for GTA V comes with more features that make using this mod easier, which improves the usability of the mod. 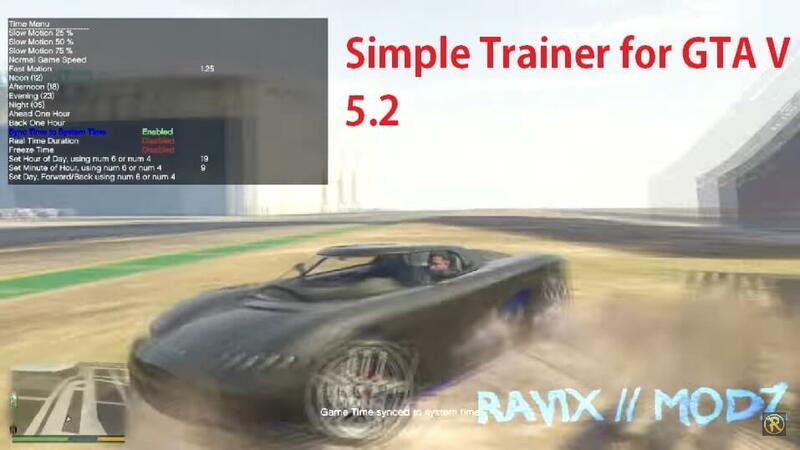 Simple Trainer was designed because of the success of the popular Simple Trainer for GTA IV. Like other trainers, this mod adds a speedometer to the user interface. This can be set to either MPH or KMH, depending on what you prefer to use. There is also the option for have both KMH and MPH showing at the same time for more accurate readings. The mod allows you to customize the teleporting locations and hotkeys. This is done in the file named trainer.ini. 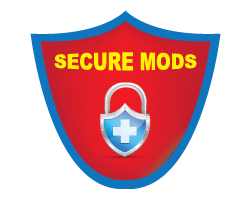 When you install the mod, there will be preset locations and cars set to the hot keys. To change the cars that are set to the hotkeys, you can use the trainer.ini file. You can also change the cars and the teleport locations within the game, using the predefined slots. The mod also allows you to configure the radio and the station that is playing when you enter a car. This can make it easy to enjoy the music that you like without having to set the radio every time you enter a new car. You can also adjust the music that each station plays. 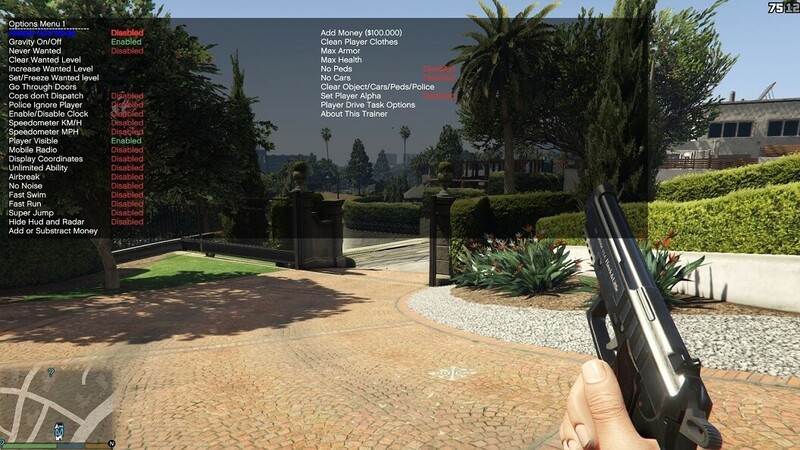 The mod also allows the player to adjust the weather and the time in-game, so you can freely test and play GTA V in your preferred weather and time periods. There is also the feature that allows you to spawn in a bodyguard. This bodyguard can be spawned at any time and can be given any weapon in the game. You can adjust what model and weapon in both the game and in the trainer.ini. You can also spawn peds and combat peds. The normal peds can have a total of ten set tasks, which they will do in the game. This allows you to create better testing areas since the peds will act like other ones that are programmed in the game. Your bodyguards can follow and enter your car. The combat peds will attack you and your vehicle. You can also spawn any of these non-playable characters in cars if you want to test your driving skills or game physics without worrying about other factors in the game affecting you. Should You Install the Simple Trainer for GTA V? 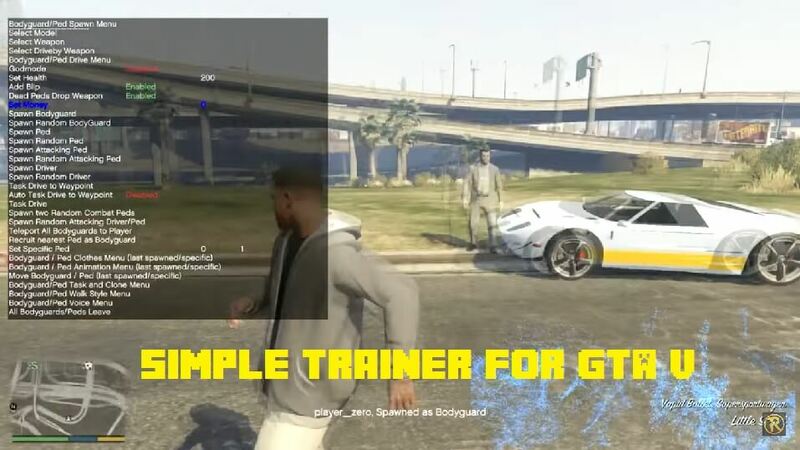 At the moment the Simple Trainer for GTA V is only available for the PC. The mod is still being updated to work with all the DLC that GTA V has released and to fix the bugs that only affect some users of the mod. 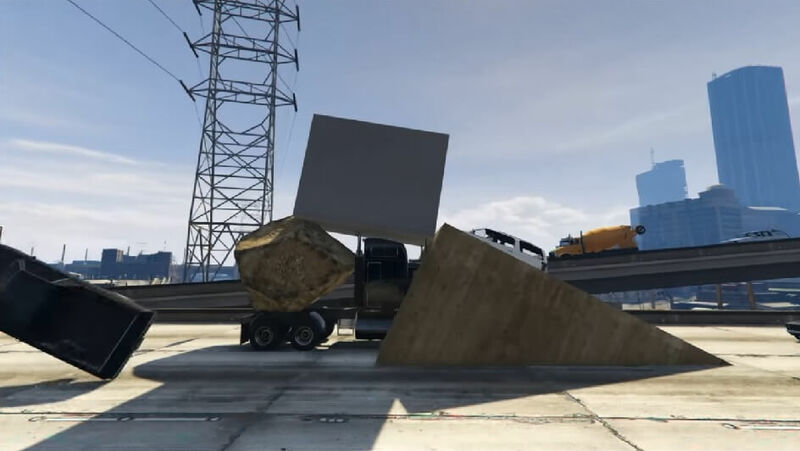 This mod is a great option for anyone who is looking to improve their driving skills in GTA V and to test new vehicles and game patches.